Search Enhancement Tool should be, like the name suggests, a tool of great help. Dubious marketing strategies imply that Search Enhancement Tool will make browsing the web a great experience. Unfortunately, these promises are fake, to say the least. In reality, Search Enhancement Tool is just one more adware application that could turn out to be quite malicious if not removed in time. The research revealed the suspicious ways that this adware application is distributed. Considering all these facts, it is not surprising, that removal of Search Enhancement Tool is essential, if you wish to maintain a clean and secure system. The removal guide provided below will help you delete this invasive adware program in no time. Once Search Enhancement Tool enters your operating system it will install browser extensions to Mozilla Firefox and Internet Explorer. Google Chrome users should not feel al that safe due to the fact that malware distributors often update their applications; for instance, Search Enhancement Tool could be updated to be compatible with Google Chrome in the near future. The extensions implemented by this suspicious application are used to display third-party advertisements and annoying pop-ups while you are browsing the web. The adverts and pop-ups are extremely annoying and will make surfing the web a frustrating task, to put it mildly. The only way to restore the normal functionality of your browser is to remove Search Enhancement Tool completely. Unfortunately, there is something worse considering these adverts provided by Search Enhancement Tool. It was noticed that some adverts contain redirect links. Just by clicking on one of these adverts you will most likely be redirected to rapidsearch123.com – a questionable search website. By using this dubious search engine you could end up on websites that promote fake software. As long as Search Enhancement Tool is running your PC, your operating system remains at constant risk of getting exposed, or even infected with other Internet-based infections. The removal of Search Enhancement Tool is essential to any security conscious user. It was noticed that in some cases Search Enhancement Tool could come along with other dodgy applications such as AstroArcade, PC Optimizer Pro, Storm watch and others; thus, if you found Search Enhancement Tool present on your PC we firmly advise you to check your system for any other dubious programs. The removal process is rather simple as you cal delete Search Enhancement Tool via Control Panel, but just to be on the safe side we recommend scanning your system with a professional malware detection and removal afterwards. Confirm that you want to remove the suspicious application. 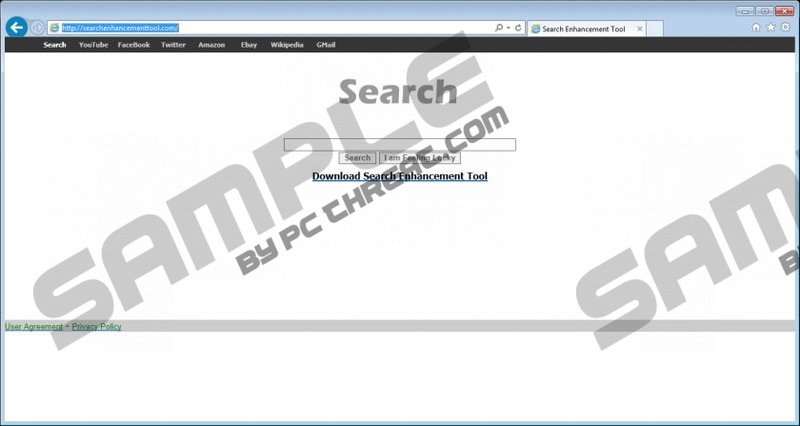 Select Search Enhancement Tool and click Uninstall. Right-click Search Enhancement Tool and select Remove. Quick & tested solution for Search Enhancement Tool removal.